Traditional high temperature coatings are unable to be applied directly onto hot metal surfaces in operating oil & gas, petrochemical, and power plants. Norimax offers specialized Modified Silicone Polymeric High Temperature Coatings which can be applied directly onto hot surfaces ( as high as 350 degC surfaces ) with minimal surface preparation ( ST-3 ) . 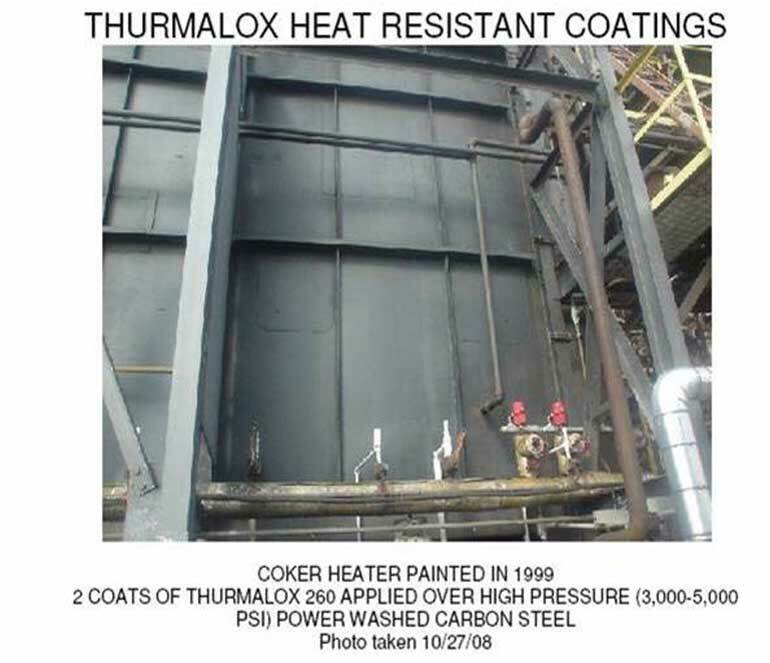 Norimax represents US company " Dampney Coatings " to offer the Thurmalox range of high temperature coatings with unique application properties. 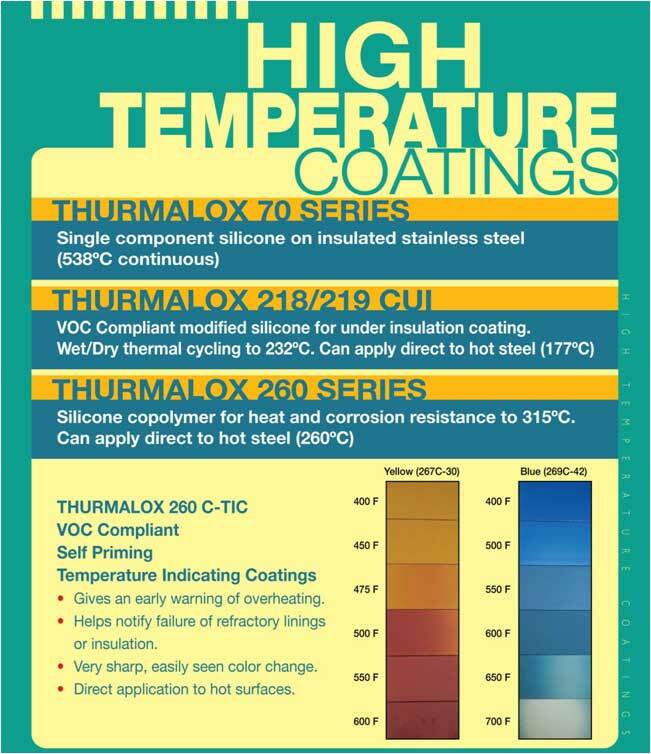 Thurmalox high temperature coatings have been approved by PETRONAS for applications in their oil & gas and petrochemical facilities.